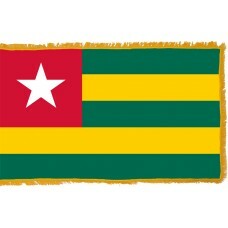 The Togo Flag features five horizontal bands in the colors of green, yellow, green, yellow, and green. 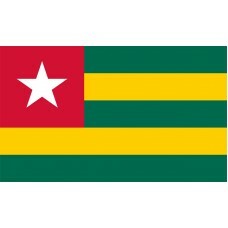 In the top left-hand corner of the Togo flag is a red square with a white star in the center of it. The five stripes on the flag represent the five different regions of Togo which are, Savanes, Kara, Centrale, Plateaux, and Maritime. The red color represents the blood that was shed for the country's independence, the green color represents the agriculture of the country and the forests as well as hope, the yellow color represents the country's natural resources, and the white star is known as the "star of hope" and also represents peace. The flag uses the Pan-African colors of Ethiopia and it is the only national flag that uses the artistic concept of "the golden rectangle" or "golden ratio." The Togo flag was designed by one of the greatest African artists called Paul Ahyi and it was officially adopted on April 28th, 1960. Togo is a country that is located in Western Africa and shares borders with Ghana, Benin, Burkina Faso, and the Gulf of Guinea. The official name of Togo is "Togolese Republic" but it was also known as the "slave coast" between the 16th-18th centuries as many Europeans would come here and to the surrounding islands in search of slaves and they would be shipped from here to Europe and the Americas until slavery was abolished in the 19th century. Even though the Portuguese were the first to arrive in the 15th century, they never settled. Between the 11th – 16th century, many different tribes passed through Togo, which include, Ewe tribe (who form the major ethnic group), Mina tribe, Tem tribe, Tchamba tribe, and Kabre tribe. In the Ewe language, Togo translates as "house of sea." In 1884, Togo became a German protectorate, and was known as "Togoland." During WW1, Great Britain and the French invaded and managed to capture Togoland. 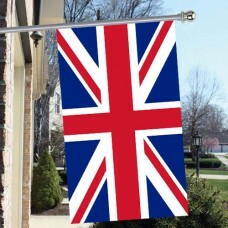 It was divided between Britain and France and the French gained control of Togo, whilst the British gained control of Ghana. Togo gained independence on April 27th, 1960. Togo is one of the smallest countries in Africa, and is rated is one of the fifty most undeveloped countries in the world. The majority of the country's income and economy is based around the country's rich agriculture and resources, such as phosphate, cocoa beans, coffee, and the most important cash crop which is cotton. 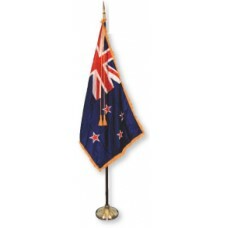 As it is such a small country, it doesn't attract as many tourists as there are very few attractions. The main attraction in Togo is the "Koutammouk" which is known to be the "land of the Batanmariba" (the Tammari people), and is an area that consists of the traditional mud-tower houses that the people choose to reside in. The Fazao Mafakassa National Park is the other main attraction and the largest national park that Togo is home to.